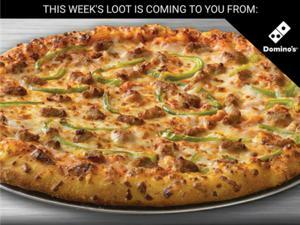 Free Gogo wireless, free Dominos, free frosties, even a free ticket to Warcraft. Every week! 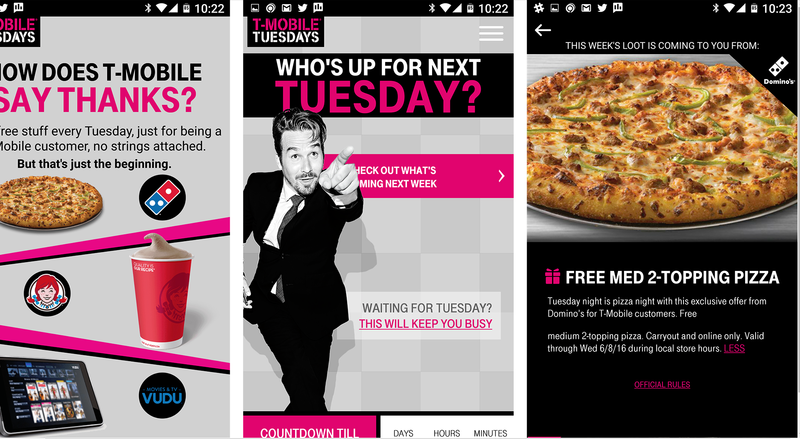 T-Mobile launched its latest Uncarrier promotion, and boy is the company handing out the free stuff: free pizza, free frosties, free movie rentals and tickets, and even—get this—a free share of T-Mobile stock. “I’m gonna thank you like you’ve never been thanked before,” Legere added. Why this matters: T-Mobile has made the “uncarrier” the people’s choice, throwing freebies at customers left and right. But the promotions have paid off in terms of profits and new subscribes, so the strategy is obviously working. Here’s the way the new freebies will work: Every Tuesday, T-Mobile will give customers three freebies: Domino’s pizza, a Wendy’s Frosty, and a free movie rental from Vudu. To get them, you’ll need to be a T-Mobile prepaid or post-paid customer, and download the free T-Mobile Tuesdays app from the Google Play Store or the iOS App Store. Every Tuesday, T-Mobile will also throw in a bonus freebie, which this week happens to be a free ticket to the opening weekend of Warcraft, the movie based on the hit game. In addition, you’re also eligible for a bonus “spin” where you can win even more prizes. The prizes will change on a weekly basis, so if you don’t check in every Tuesday, you’ll miss out. 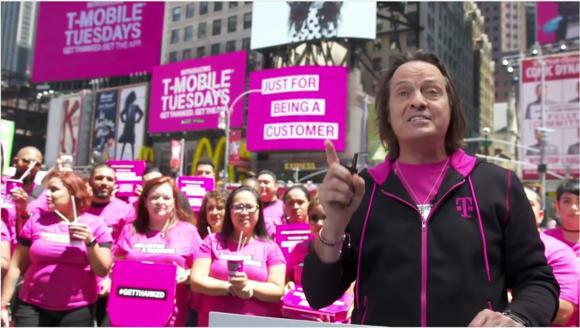 ”The other carriers screw you—we just want to take you to dinner and a movie and more,” Legere joked. And that’s not all. Mike Sievert, T-Mobile’s chief operating officer, pledged that you’ll get a free hour of Gogo in-flight wireless access as well, just for being a T-Mobile subscriber. T-Mobile’s offer also adds something that’s rather unpredecented: free stock. Every T-Mobile customer on a post-paid account will receive a free share of T-Mobile stock, currently sitting at $43.51 at press time. And if you recommend the service to a friend (and they sign up) you’ll get more. T-Mobile’s provided more details about its “Stock Up” promotion on its Web page. ”You spend heard-earned money for us...why should Wall Street be the only ones to benefit?” Legere asked. Finally, if customers tweet out (or Instagram) #getthanked, they’ll have an chance to receive even more prizes, Legere said.